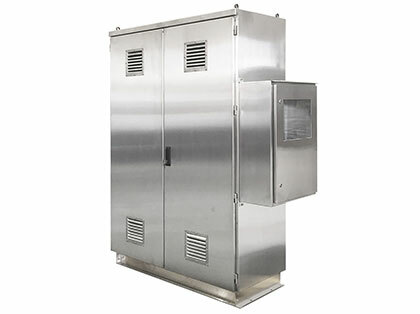 Manufactured entirely from 3mm gauge 316L stainless steel, it has overall dimensions of 2160mm high x 3350mm wide x 1000mm deep and is provided with double doors front and rear for ease of installation and access of the gas turbine itself within the cabinet. 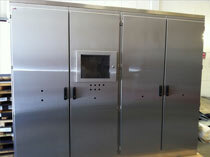 316L stainless steel cabinet complete with HMI and multiple way control functions. Manufactured to customer's design. Incorporates a sunshield and a swing out front cover section. 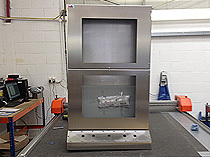 316l stainless steel cabinet 2150x1500x400 to house gas analyser system and cylinders, manufactured to customer’s design. 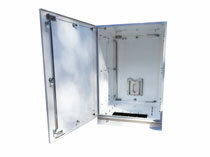 It incorporates a sampling enclosure on the side with operator viewing window. 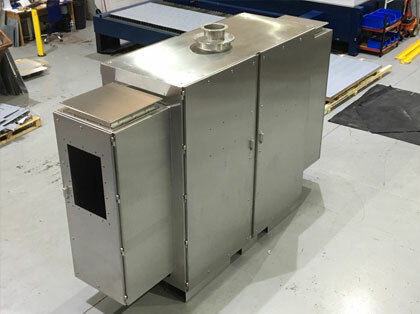 A leading UK fume/dust extraction manufacturer approached indEx to provide control stations for 2 types of extraction machine – one dust and the other hazardous fumes. We recently tendered and won a prestigious project to supply lighting and distribution control panels for an upgrade of a major UK project. A global leader in aircraft support services use indEx regularly for bespoke hazardous and industrial panels which need to be robust and delivered on time to the exact specifications. 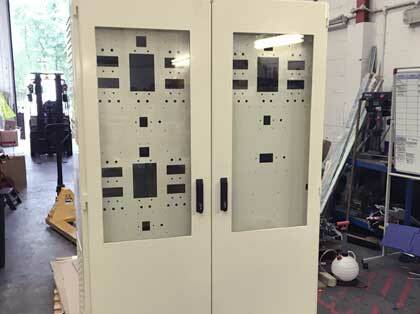 A world renowned cathodic protection company approached us to build a transformer rectifier control cabinet with swing out panels, louvre vents, glass doors and painted to client specification. 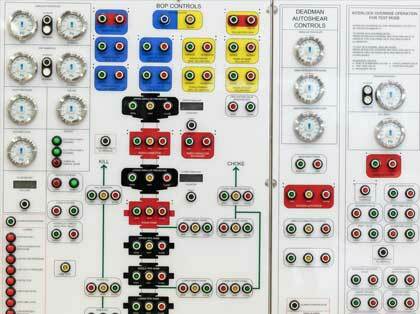 At indEx we always enjoy a challenge – and this project was no exception! One of our longest served customers and a renowned leader in hazardous area wireless technology and telecoms, won a very prestigious project from a global digital service provider; and in this case, the project is ongoing in the Middle East. 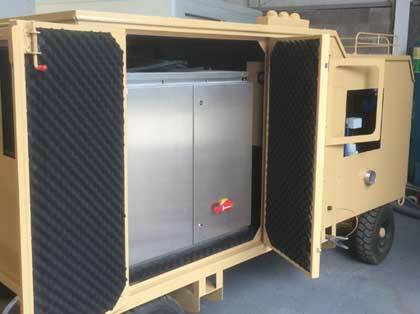 A local customer to us in Kent approached us to build a unique enclosure to house a new hydrant they were installing at a few underground stations in London. 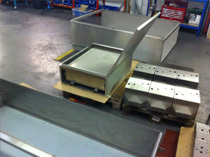 A UK, but also global, leader in specialist analytical instrumentation engineering business providing complex analyser systems, project management, contracting and manpower services for process industries approached us to provide a canopy with enclosures for a world leading Oil and Gas company on a hugely important project. 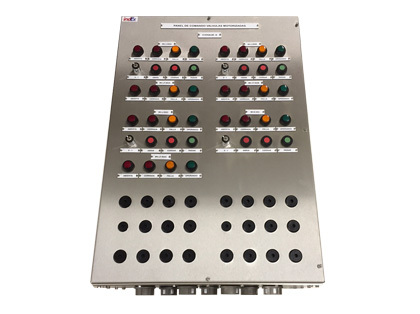 A leading global O&G manufacturer and distributor asked us to provide a hazardous area control station fully wired and certified within a very short lead time. 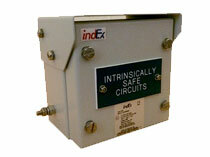 indEx have being supplying enclosures and fabrications for EFC to integrate and certify themselves for some time now and they will only accept the highest standard of quality, delivery and accuracy for their safety critical systems. One of our Asian clients asked us to provide a zone 1 solution for an offshore project having to terminate several large o/d conductors. Rapid Delivery to Prestigious Offshore Project Yet Again - Guaranteed! The end user is one of the world’s largest O&G companies and our customer is one of the largest skid manufacturers in the world so were we delighted to help out on such a prestigious and important project. 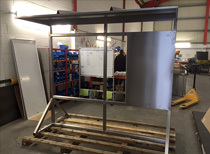 A much valued indEx customer, and leading North sea OEM specialising in marine and process control systems, approached us asking if we could provide the highest quality control desk intended for use on an oil rig in onerous and potentially extreme weather conditions. 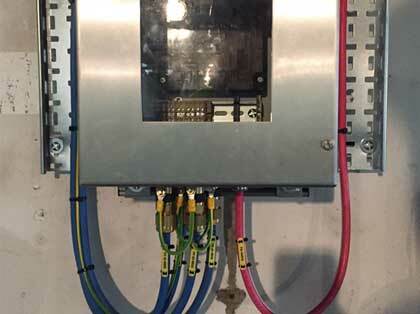 Our customers and partners across the world are always coming to indEx with diverse requirements for panels and junction boxes that most other manufactures would not even bother looking at. 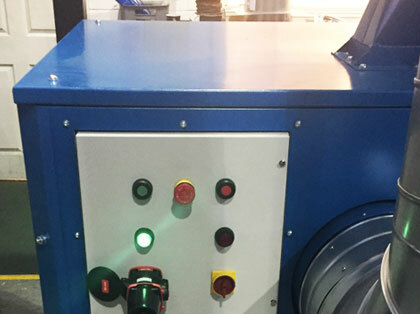 The world's leading provider of gaseous bottled products approached indEx to provide new and updated equipment to monitor a gas bottling plant in the UK. 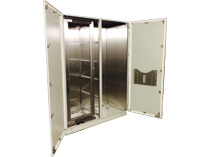 Supply the smallest possible steel enclosures with client approved paint finish and terminals for use in intrinsically safe areas. The enclosures must be IP66 and allow water run off. 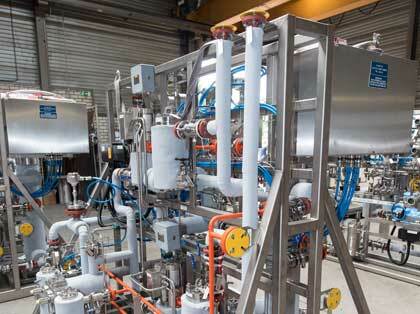 A major UK and international paper and print company asked us to provide a solution for a pre-existing plant line. 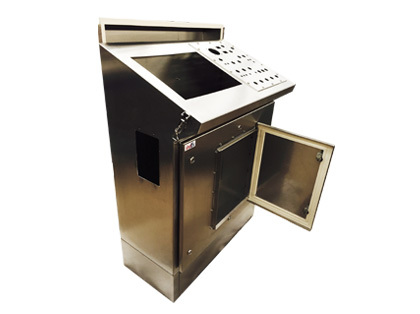 Requirement: Many of our long term partners and customers have approached us to manufacture zone 2, 22 enclosures for use as emergency start/stop or control stations. These are a few examples we have manufactured at exceptionally short lead times and costs significantly lower than they currently have to absorb. 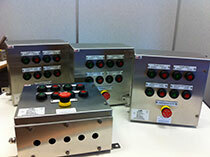 Requirement: Our customer required a heavy duty construction made to ATEX standards but not certified. 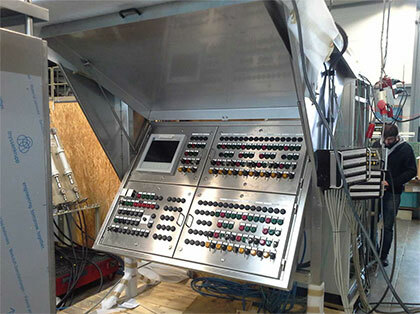 The construction was to house control and switch gear and include an HMI screen and had to fit a pre-determined mounting position at the rear of the compressor. 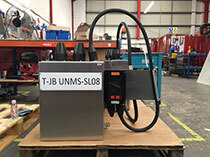 Requirement: A fast track on-going regeneration project for an offshore drilling operation required our customer to design & install HMI control and driller panels complete with safety critical apparatus exceptionally short lead times. Requirement: Supply a large double door panel enclosure to house two smaller panels complete with safety critical apparatus. The large panel must allow the passive cooling of the internal system without compromising IP integrity. 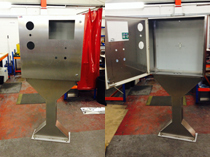 Requirement: Supply a zone 2, 2000mmx1200mmx800mm IP66 enclosure to house equipment for North sea oil rig, including an HMI screen. 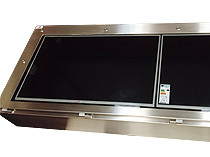 Requirement: Supply zone 2 enclosures to house equipment for remote monitoring systems, to be installed in over 400 locations in one of Europe’s largest oil refineries. 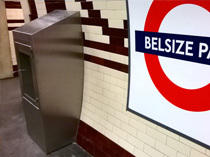 Requirement: One of Europe’s most prestigious panel builders came to indEx looking for a control station enclosure and framework. 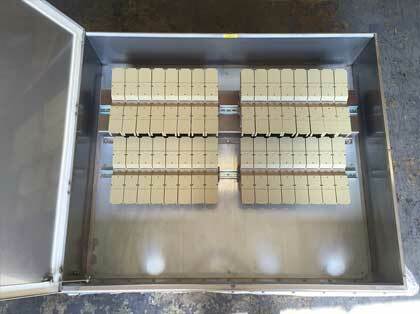 Requirement: Supply zone 2 enclosures to house non sparking equipment, framework and cable tray.